Click an image below to browse our galleries of custom design ideas for weddings, corporate events, and other festivities. What you see here is a small sample of cookies we have created to help get your ideas flowing. Use your imagination; the sky is the limit! We can imprint photos, logos, and other images. We're also experts at decorating and piping. Not feeling creative? No problem. 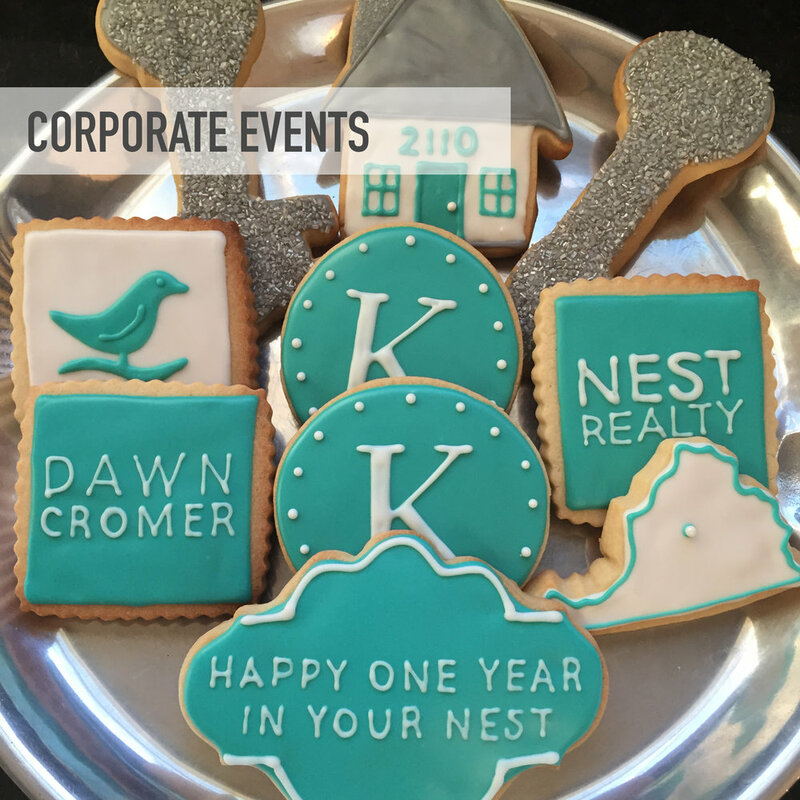 See our Shop for curated sets of decorated cookies for any occasion.